Denise has over 25 years of experience in communications across Europe, the Middle East, Africa and the US. With an early career in journalism, Denise held media and PR roles in South Africa before moving to the UK and several internal and senior corporate communications roles at Visa International and BP. Now an established communications consultant, she advises clients on the full spectrum of communications and marketing, including public affairs, reputation management and positioning, internal change and engagement as well as new media. She covers financial services, technology, oil and gas, retail, environment and luxury travel. Denise is also the founder of MagnaCarta Public Relations, an agency specialising in the ever evolving payments industry. Clients include Visa, OpenWay Group, Cardis International, RS2 Software, Enterprise Ireland and John Lewis Partnership among others. 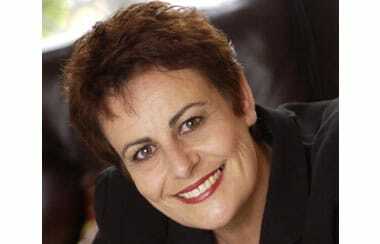 She has been instrumental in the establishment of the Financial Services Practice for Baird’s CMC and is a founder member of the South African Chamber of Commerce, UK. She also presents training courses in communications and PR strategy on behalf of two international training organisations. Strategy development and positioning, communications and reputation management, public relations, public affairs, change and engagement, research and analysis, issues and crisis management, social media strategy. Strategic positioning and new market entry in Europe, Middle East and Africa. Communication support and networking with key opinion formers across the payment industry, including retail banking, merchant and card/mobile technology providers. Conducted the first survey into the use of Social Media in Payments followed by The Social Media in Payments Report 2012, which was introduced at an exclusive workshop in London. Developed a full review of RS2 Software business and marketing strategy in their target markets – including website redesign and product repositioning. Visa International, BP, Centrica, Pinnacle PR, B&Q, NHS, John Lewis Partnership, Hall Hunter Partnership, RS2 Software Group, Payments Cards and Mobile, Enterprise Ireland, Sysnet Global Systems, Provenir UK, E.Life, among others.